For the last 6 years, Lemax has continued to show its fan appreciation by sponsoring a collection of social media contests. We love to give back to our biggest fans. That's why we hold all kinds of holiday contests online all year long! Lemax contests are all about celebrating our most passionate collectors. Whether it's a photo contest, a video contest, or a social media contest, you can bet we're always on the verge of something new and exciting. We always encourage you to show off your Lemax village collections. 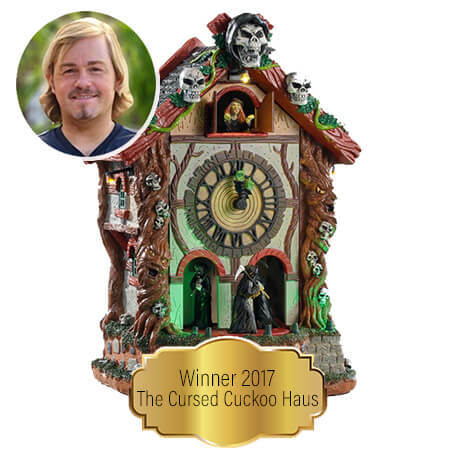 The Lemax Spooky Town photo contest, a popular Halloween contest, asks you to show off your Halloween village. The "You name It. We create it." contest asks you to put your design skills to the test to come up with your very own collectible design. And there's always more to come, whether it's a decor contest, a holiday village contest, or whatever else we come up with! Winners of the "You Name It. 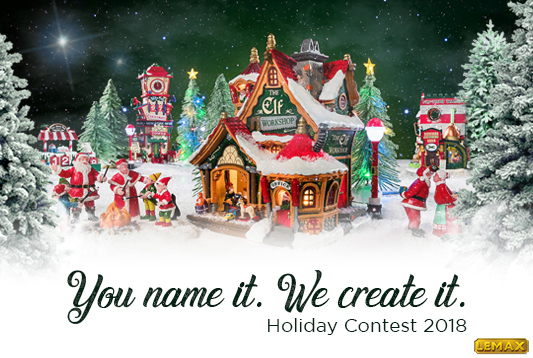 We Create It" holiday contest. There no contests running at this time, but check back soon! Don't miss out on your chance to win! Sign up for our email list to be notified of upcoming holiday contests. The "You Name It. We Create It" design contest is about making childhood dreams come true. Collectors and fans are challenged to come up with a new Christmas animated building. 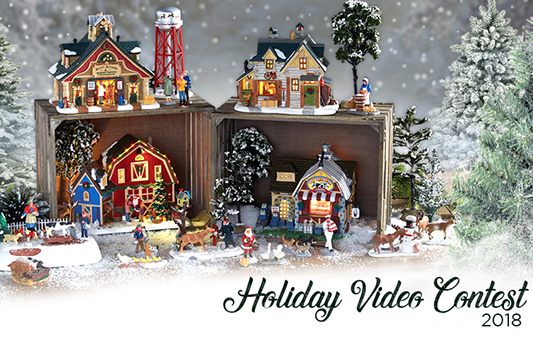 The Lemax Holiday Video Contest is all about creating the most realistic village possible. We’re looking for the most lifelike, immersive holiday village that makes you feel like you’re really in that town, no matter the theme of your village. 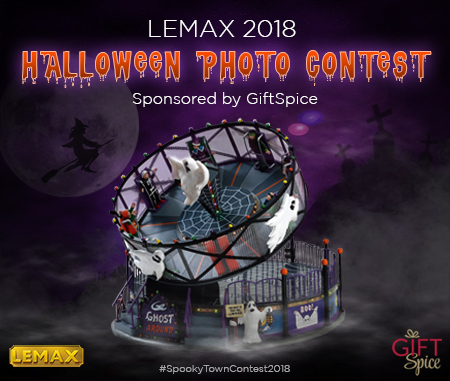 Enter the Lemax Spooky Town Photo Contest for a chance to win a six-piece Lemax Spooky Town village from GiftSpice.com. A single winner will be randomly selected from all valid entries. This year’s photo contest is all about CREATIVITY. That’s right, creativity! Lemax 2017 You Name It. We Create It. The 2016 Spooky Town #Hashtag Photo/Video Contest cosponsored by Gift Spice. 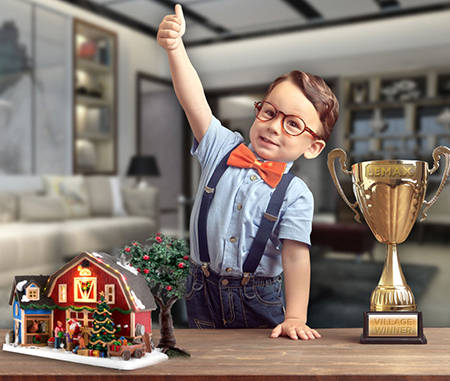 The Lemax Video Contest is designed to share inspiring videos of Lemax holiday villages. Congratulations to Mishelle Weaver. Winner of Lemax 2015 Halloween photo contest. Lemax Holiday 2015 You Name it. We Create it. Share in this delight, Lemax would like to see your favorite Spooky Town photos and videos posted on social media. Congratulations to David Bellwoar. 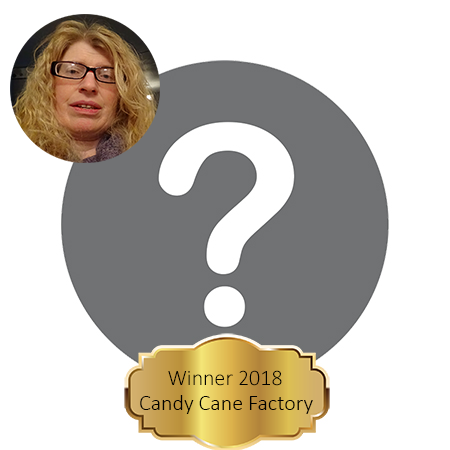 You are the GRAND PRIZE winner! Come up with a new name and concept of a new Spooky Town building and have this building designed by a Lemax artist, molded, manufactured, painted and available as a new 2015 Spooky Town Building.